What I am suppose to do? 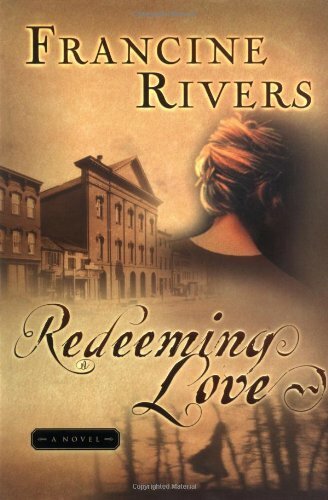 I just finished reading Reedeming Love by Francine Rivers. It is plainly beautiful. Although it’s appropriately labeled ‘PG 13’ as the publisher had said, the book really spoke to me. That was why I sat on the couch for almost 10 hours to finish the book! Exaggerating but true!! I don’t know how I can express the inner gratitude for having read that book. It simply spoke to me like no one does in ages! Like Angel, in the book, I was totally lost and confounded until God came down and touched my heart and soul. He made me understand that even though I’m a helpless sinner, He has always been there for me. He sent His only Son to die on the Cross as a symbol of love and compassion for me. Yet I keep running away, pretending that I could make it on my own without His guiding Hand to lead me. In times of sorrows, He would be there to show me that I have lots to be thankful for. And then I would be ashamed and fall back down on my knees and thank Him for everything He has done. And when the going gets better, there I would be again, running from Him like I am the god of my own life. I live and laugh like there’s no tomorrow and eventually slip back to my old ways, allowing my curiosity to drag me to life’s harsh realities. And now, I feel like God is letting me decide on my own. He had done his part; He has been good and patient with me. Is he letting me choose now which direction I would take? Sure, I’ve fallen behind my Christian ways, you know, reading the Bible and praying, I haven’t been doing it sincerely for how long I can’t remember. 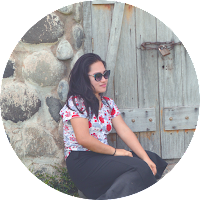 I act cool and composed when I’m around church folks and I seem to be doing good – in the outside. But in the inside, I’m gnawing away in this emptiness and purposeless - ness. This dark spot seems to be growing bigger and bigger each day. Why do I feel this way? When all I ever wanted is freedom – freedom from this boredom that’s eating me away. I want to be free to explore the world and stand up on my own. And yet, whenever I try I seem to fall back to where I used to be, in my room, in my parents’ house. When will I ever experience life as its suppose to be? For once in my life, I want to see and feel how it is like to live and face the world. I know its hard, but I don’t feel it. Not with such protective parents to block everything coming my way. I know they only want the best for me and I can’t blame them for it. They’re doing their job as loving parents and they’re doing it well. But seeing them doing their tasks – all of them knowing what they would do come next day – makes me feel like I’m totally useless here. I must do something and not just sit here all day indulging at the anonymity that the internet brings. Oh! I’m so sick of feeling this way. I feel so envious of the people who knows what to do with their life. I thought I have the calling to be always Online – to be fidgeting with a site or something – as long as it has anything to do with a computer. But why does it feel so wrong and counterproductive? I know that my purpose as a Christian is to give Him back all the honor and glory He’s suppose to have. But where do I start? And how? When all I’ve ever known is anything that has to do with computers. How am I ever connect that to what God wants me to do?